The major objective of this report is to know about the Tele history of Bangladesh and analyze the Determining The Customer satisfaction of Teletalk of Teletalk Bangladesh Limited. General objectives of this reports are to focus on the competitive advantages enjoyed by the Teletalk Bangladesh Ltd. over its competitors, to understand the need gap of mobile services in different regions of Bangladesh, to know the preferences and expectations of the subscribers from a mobile service providers in Bangladesh, to know subscribers’ perception of the current mobile services offered by existing providers in Bangladesh and to measure the sensitivity towards Tariff structure and acquisition cost of mobile connections. 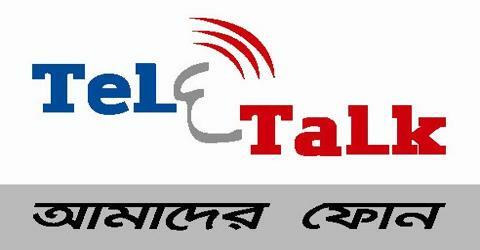 Teletalk Bangladesh Ltd started its commercial operation on 31 March 2005 with skyscraping expectation. One long year has passed since Teletalk started its commercial operation. Considering the time of operation of other existing operators in this field, this period might seem to be small, but considering the first year of operation of an operator it’s pretty significant a time. Probably it’s the right times to asses the achievements it has made – compare them with what it could have achieved and also to scrutinize the opportunities and threats which are looming over. The most remarkable success of Teletalk is the slump in Tariff Structure. As soon as Teletalk announced its tariff the long-lasting oligopoly between other private mobile operators were shattered. Healthy competition came into the mobile I market causing almost 50%, if not more, reduction in price both in terms of SIM price and usage rate. The slump in price made mobile phone affordable even for the low-income group of people. Using a mobile phone soon became a necessity; it’s no more a luxury. The strength of Teletalk was the confidence of the subscribers in the government institution. On the other hand it’s being the part of government, is probably the biggest weakness from operational perspective of Teletalk, which will be understandable as we go through this article. At a time when people were desperately searching the way out to get rid of the oligopoly of a few operators, Teletalk started its operation with big bang of response. People became frenzy to get a Teletalk SIM. Another good reason for that craze was its flexibility in connectivity with the other operators. It’s the only SIM, which has such a, versatility of connections having ISD, Economy ISD service along with both incoming and outgoing connectivity with any of the land phones. The biggest weakness was a premature entrance in a mature market. As soon as anyone could catch hold of a Teletalk mobile, he started comparing it with the services of Grameen, Bengalink or Aktel. Having the slightest of ideas of what problems can impound and compound starting a commercial operation with such a small coverage containing pockets all over the places, Teletalk had its first setback. Many of us used to say “Where is the harm in throwing a system on use with such a small number of BTSs if operator like Grameen could start its commercial operation with couple of BTSs around.” But “think-tanks” of Teletalk miserably failed to identify the difference of stepping into a developed market and that into a developing market. Moreover, the progress of development of network was far below the expectation of subscribers. Above all the interfacing with other operators was so poor, especially with GRAMEEN, mostly because of non-cooperation, it became a nightmare for the Teletalk subscribers to use a Teletalk mobile. The broad objective was defined at first. This broad objective was fragmented into some smaller, clearer, specific objectives. The broad objective of this study is to know about the Tele history of Bangladesh and analyze the Determining The Customer satisfaction of Teletalk of Teletalk Bangladesh Limited. To focus on the competitive advantages enjoyed by the Teletalk Bangladesh Ltd. over its competitors. To measure the sensitivity towards Tariff structure and acquisition cost of mobile connections. a) Questionnaire survey: I survey on dealers, subscribers and retailers and business market. My sample size was 100 and the information. It helps me to collect the information about the Determining The Customer satisfaction of analysis of Teletalk Bangladesh Ltd and the market position of the company. b) Interview collection from Management: I cover up the face-to-face and telephone interview among the interviewee for getting the vital information. c) Conversion to the others: I have done the conversation among each other in the group and also discuses with my course instructor to institute the formation of report. Besides, a monthly business magazine on Mobile phone technology named “GSM Technology” published in the Bangladesh was extremely helpful for the study. This study could be more informative if more issues of the magazine could be collected. The magazine focuses on the Mobile phone technology all over the world. The prime secondary source was “Teletalk website”, Google website, monthly magazine; some information was collected from the Internet from various web sites. This research is a descriptive research. It will ultimately draw a conclusion and try to find out the actual meaning of the term “Customer satisfaction” of teletalk. Two major types of population were targeted for the study. Subscribers of different mobile operators are mainly the targeted population. There are many categories of mobile subscriber. For example, businesspersons, corporate clients, small and medium sized enterprises, employees, professionals, students all are Mobile subscriber. Therefore not all mobile subscribers have been considered as the population of this study. Rather, only the educated and organizations were considered as the population of the study. Multistage random sampling was used for the selection of the sample. Since two types of target market were considered, the sampling was done in two different phases. c) Sample Size: The sample size is 100 respondents. In most of the cases the selected organizations and persons were visited and the questionnaires were distributed to those organizations selected employees and subscribers for collecting data. A week later they were contacted to collect the responses but not all questionnaires were found completed. This part of the research was too difficult and painstaking because it required frequent visits to the respondents to collect all the responses. It took about 4 weeks to cover all the respondents. No complex analysis was performed in this study because this very new topic needs a primary research in our country. May be this primary study will then show the ways to go for in-depth study which may require more complex analysis of data. Method of rank order was conducted to find out the most important factors affecting the choice of Mobile Phone Company by subscriber. The long awaited launching of a mobile telecom network by a state-run enterprise had finally materialized on 31 March 2005. It also fulfilled a cherished dream of people who continuously demanded to the government for such an enterprise. The government started the “Mobile Telephone Project” and Bangladesh Telegraph & Telephone Board (BTTB) was entrusted with the responsibility for implementing the same. The Project work started in June 2004 and the network was soft launched on 29 December 2004. I am happy that BTTB had been able to keep its promise and deliver in time. Teletalk got huge popularity as it triggered the true competition in the market. I am happy to know that within one year, Teletalk has covered 61 districts, 120 upazillas and most part of the three major highways of the country. However, there is still a long way to pass for improving its network. People have high expectation from Teletalk. They expect continuous network coverage all over the country, prompt customer service, and more value added services, data services of high band-width etc. from Teletalk. Teletalk must honor its customers by improving its services day-by-day so that people can realize that even in a competitive scenario, the public sector organization can achieve remarkable development if they get opportunity. With a capacity of 2.5 Lakh Mobile Phone, it is not possible to cover a network throughout Bangladesh. According to scope of the project this capacity is limited to all metropolitan cities, all district head quarters and three major highways. In spite of that, BTTB’s Mobile Project will cover about 275 Upazillas and growth centers. Government decision to own a Mobile Company was to ensure fair competition between public and private companies. After the emergence of Teletalk Bangladesh Limited, rates & tariffs in the market have been reduced tremendously. Moreover all the mobile operators are now continuously trying to provide more value added quality services with cheaper rate. Only fair competition can ensure better service and Teletalk is a party to it. The most remarkable success of Teletalk is the slump in Tariff Structure. As soon as Teletalk announced its tariff the long-lasting oligopoly between other private mobile operators were shattered. Healthy competition came into the mobile market causing almost 50%, if not more, reduction in price both in terms of SIM price and usage rate. The slump in price made mobile phone affordable even for the low-income group of people. Using a mobile phone soon became a necessity; it’s no more a luxury. The strength of Teletalk was the confidence of the subscribers in the government institution. On the other hand it’s being the part of government, is probably the biggest weakness from operational perspective of Teletalk, which will be understandable as we go through this article. At a time when people were desperately searching the way out to get rid of the oligopoly of a few operators, j Teletalk started its operation with big bang of response. People became frenzy to get a Teletalk SIM. Another good reason for that craze was its flexibility in connectivity with the other operators. It’s the only SIM, which has such a, versatility of connections having ISD, Economy ISO service along with both incoming and outgoing connectivity with any of the land phones. The biggest weakness was a premature entrance in a mature market. As soon as anyone could catch hold of a Teletalk mobile, he started comparing it with the services of Grameen, Banglalink or Aktel. Having the slightest of ideas of what problems can impound and compound starting a commercial operation with such a small coverage containing pockets all over the places, Teletalk had its first setback. Many of us used to say “Where is the harm in throwing a system on use with such a small number of BTSs if operator like Grameen could start its commercial operation with couple of BTSs around.” But “think-tanks” of Teletalk miserably failed to identify the difference of stepping into a developed market and that into a developing market. Moreover, the progress of development of network was far below the expectation of subscribers. Above all the interfacing with other operators was so poor, especially with GRAMEEN, mostly because of non-cooperation, it became a nightmare for the Teletalk subscribers to use a Teletalk mobile. Peoples’ hope was immediately dashed out and all the opportunities Teletalk had started with immediately began shrinking and squeezing. The figures might seem promising but this is only showing the “Gross Revenues”. To get an idea of the financial strength of the organization Finance Department should calculate the operational and other expenses, along with other outward flow of cash in terms of payment to other operators, in order to get the “Bottom Line”, which is the most important financial parameter for an organization. It is vivid from Table-l that prepaid revenue/subs is more or less static but postpaid revenue/subs (95% PCOs) has increased substantially from January to February. Teletalk can take it as a challenge to increase revenues/subscriber/ month both for prepaid and postpaid subscribers by doing adequate marketing and offering better network and services. Also this parameter can be compared with other operators to get an idea where we are actually standing and how much scope is really there to inflate that amount. *Network utilization is practically higher than that because PCOs generate traffic at a rate more than 25 mills Erlang based on which the “Capacity on Air” is calculated. Both Table-ll and Table-Ill justify that there remains a big opportunity of increasing subscribers outside Dhaka and proliferating revenues manifold by doing that. In this case high value of Teletalk SIM is worth mentioning. Packages from other operators, having similar facilities offered by Teletalk, are available at 3 to 4 times less price than that of Teletalk. It is totally unjustifiable to charge a subscriber such an astounding price for having a SIM of a network which doesn’t have satisfactory level of coverage and which has service-level not at its peak. Quite understandably, subscribers are feeling disillusioned subscribing for Teletalk. There might be other reasons, which should be identified by the Marketing Department, and appropriate tools should be developed to resolve the problem. Customer satisfaction is the extent to which a product or service’s perceived performance matches a buyer’s expectations. If the product or service’s performance falls short of expectations, the buyer is sure to be dissatisfied. If performance matches or exceeds expectations, the buyer is satisfied or delighted. Expectations are based on customers’ past buying experiences, the opinion of friends and associates, and marketer and competitor information and promises. Marketer must be careful to set the right level of expectations. If they set expectations too low, they may satisfy those who buy but fail to attract enough buyers. In contrast, if they raise expectations too high buyers are likely to be disappointed. Dissatisfaction can arise either from a decrease in product and service quality or from an increase in customer expectations. In either case, it presents an opportunity for companies that can deliver superior customer value and satisfaction. Today’s most successful companies are rising expectations—and delivering performance to match. Such companies track their customers’ expectations, perceived company performance, and customer satisfaction. Highly satisfied customers produce several benefits for the company. Satisfied customers are fewer prices sensitive, remain customers for a longer period, and talk favorably to others about the company and its products & services. Primary research: a survey to find out the ‘customer satisfaction level’ of Teletalk. Teletalk Bangladesh Ltd. is a highly and fast growing mobile company. In mobile telecommunication industry, there are direct and indirect factors that influence customer satisfaction. I tried to focus on the most important factors that influence customer satisfaction at Teletalk. Airtime is the core offering of Teletalk. So, quality of communication, network availability etc. are the most important customer satisfaction factors. Quality of airtime depends on the ratio of subscribers and transmission base stations. If the numbers of subscribers are increased without developing the network, quality of airtime goes down. “After sales service” is very important in the mobile telecommunication industry. Teletalk has extensive after sales customer care tools. I would like to focus on these tools one by one. Teletalk is the first company who introduce 24 hour helpline in Bangladesh. In this part of my paper I tried to focus on the existing operations of the helpline service of Teletalk, which will enable us to understand the importance of the helpline service. A Teletalk subscriber needs to dial 1234 to reach Teletalk Helpline. It is computer aided information base to afford immediate access to the information about the subscribers. But the operations are done manually. After dialing 1234 the subscriber is first welcomed by an automated and standardized process. Then s/he needs to wait for few seconds. After that the subscriber reaches the Customer Centre Officer (CCO). The CCO starts the conversation with a greeting. The subscriber explains his/her problems to the CCO (Some Basic Queries are enclosed in The APPENDIX). If the inquiry is regarding general information, the customer relations officer does not need to take help of information system. S/he just provides the information and the subscriber keeps the phone. There are some queries that are very much more personalized and the CCO needs to get into the account of that particular subscriber and provide the service. In some cases the subscriber just keeps the complaint/request and later action is needed to be taken. come physically to deal with those problems. GrameenPhone has five information centers that are popularly known as ‘Info Centers’. In these information centers, the subscribers can come directly with their problems like billing (wrong bill, detailed bill etc. ), address change, SIM change, handset problems etc. These after sales services are very crucial to keep the subscribers satisfied regarding Teletalk. I developed my questionnaire (enclosed in the APPENDIX) mainly focusing on the customer satisfaction factors of Teletalk. There were ten closed-ended questions. I kept one open-ended question to better understand the gap between customers expectation and satisfaction level. My topic of this project was ‘Assessing Customer Satisfaction of Teletalk’. As I aimed to assess the satisfaction level, I only surveyed the ‘users’ of Teletalk. Teletalk’s all connections are ISD & EISD: It’s a big strength of Teletalk. It’s the only SIM which has such a versatility of connections having ISD, Economy ISD service along with both incoming and outgoing connectivity with any of the land phones. This is not seen to other providers. It gives a tremendous competitive advantage to the Teletalk Bangladesh ltd over its respective competitors. Teletalk is the only indigenous company using GSM service: Teletalk is the only local organization which is providing GSM technology in this country. The other local organization named pacific telecom is providing CDMA technology which is more expensive. So Teletalk can take this advantage over its competitors. Moreover its contribution to our economy can be notable: As a Govt. owned company Teletalk have a strong contribution in our national economy. Its one of the high profit generating Govt. organization in Bangladesh. Premature entrance in mature market: The biggest weakness was a premature entrance in a mature market. As soon as anyone could catch hold of a Teletalk mobile, he started comparing it with the services of Grameen, Banglalink or Aktel. SMS: (Jokes, Weather, Taxi, Horoscope, Quotes, Emergency, International Weather Forecasting). The progress of development of network is far below from the subscriber expectation: the expansion of network coverage is too much slow. People thought that Teletalk should use the BTTB’s network facilities; as a result Teletalk can cover the most of the area of Bangladesh. But in reality this is not true. High connection charge: The SIM price of Teletalk is too many high packages from the other operators, having similar facilities offered by Teletalk, are available at 3 to 4 times less price than that of Teletalk. It is totally unjustifiable to charge subscriber such an astounding price for having a SIM of a network which doesn’t have satisfactory level of coverage. Teletalk can use the image of local and government owned organization: General people have a deep inclination to the govt. owned organization especially to the local organization. People want to keep the money into own country. So Teletalk can use such kind of soft corner of consumers and promote the service to them. Introduction of new technology and services: Teletalk can implement new and consumer oriented technology in this sector. Because people have inclination to new and modern technology. Now a day’s people are ready to accept the new thing. Expand the market in the rural area: Till now there is huge area is remain out of coverage where a huge number of target consumers are available. So Teletalk can bring that respective area under coverage and catch those potential consumers. Teletalk can use the experience of BTTB: BTTB one of the old and experience organization in Bangladesh telecommunication sector. They have special experience about the consumer behavior of Bangladesh. They know about the consumer’s need and want. So Teletalk can take help from the BTTB about this matter and implement those criteria in the competitive market. Which things, give Teletalk competitive advantage over its respective competitors. Teletalk can use softswitch network: The softswitch network separates the bearer and control layers and a softswitchcentric network can be built on different types of bearer networks such as TDM, IP and ATM unlike, legacy network that depend on a single specific switching technology. Based on strategic planning and the developmental phase, an operator can select suitable bearer mode technologies for different phases, from the perspective of long term sustainable development, the IP centered softswitch network defines the future. So Teletalk can use this technology and practice competitive advantage over rivals. An upcoming mobile service provider named WARID TELECOM a concern of Dhabi group: At present Bangladeshi mobile sector is almost saturated , after that a new company named WARID is going to starts its operation in Bangladesh which going to become a big threats to Teletalk and other operators. The invention of technology which is new modern and consumer oriented: Technology is changing with day run. It changes the consumer’s demand pattern by offering different attractive features. As a result consumer shifts from one technology to other technology, which might create a big problem to Teletalk and others. Another invisible threat is land phone operator: In Bangladesh land phone operator is expand the market with day run. People are switch from mobile to land phone operators. As a result ultimately the number of mobile user is decreasing and create problem to the mobile operators as well as Teletalk. PHP sales promotion includes credit sales, commission etc. PHP arrange conference every year among the dealers, wholesalers and retailers. They always try to influence and convince them for creating a market demand and sale their product. Two-thirds of Grameen phone users have responded that they like the network availability. One-fifth of the users of Grameen phone have expressed that they like My Time, My Easy Time, etc; whereas 46% of them dislike higher call rate of Grameen. Pulse facilities given by Aktel liked by 31% of Aktel users while the and lower call rate is liked by 24% of them. Lesser availability of the network (29%) and high call rate (22%) are the key disliking factors to the Aktel users. Helpline is not so easy to reach. Behavior of helpline officers is quite rough. Helpline gives support to solve our problems. Info Centers take a whole day to solve a small problem, it is too crowdy. In Dhaka city, there should be more info centers, especially in the old side. After BTTB introduces mobile phone, Teletalk may certainly lose its market. Countrywide roaming facility is exciting! WAP service is very helpful. We want access to BTTB. Pre-Paid connections are very difficult to avail. Billing rate should be reduced, it is too high! Teletalk does not think about the subscribers, their main intention is to make money. Sales agents are charging extra money from the buyers. Revisions of the billing rates are appreciate-able. TELETALK Bangladesh Limited is the first government owned private cellular operator in Bangladesh. TELETALK Bangladesh Limited has a goal to receive an economic return on its investments and to contribute to the economic development of Bangladesh where telecommunications can play a critical role. TELETALK Bangladesh Limited believes in service, a service that leads to good business and good development. Telephony helps people work together, raising their productivity. This gain in productivity is development, which in turn enables them to afford a telephone service, generating a good business. Thus development and business go together. The main goal of TELETALK Bangladesh limited is to deliver SIM kits to the subscriber at a cheap rate and make a competitive market . All the categories of subscribers had collected their SIM kits through banks. Which is very satisfactory of SIM collection rate. When the Subscriber received their SIM kits, the innocent smile of them shows recessive support to TELETALK. This is the great achievement of TELETALK Bangladesh Limited. In services sector FDI inflow in Bangladesh is enormous. Telecom sector is become the core of interest in FDI in Bangladesh. So it is expected in the long run TELETALK has to face an immense competition. As well as we are also forecasting the current PCO culture might change if the profit margin reduce at current ratio. By this offer interest of TELETALK and PCO’s owners reciprocally proportionately will sustain. In the long run they can able to face the market competition successfully.